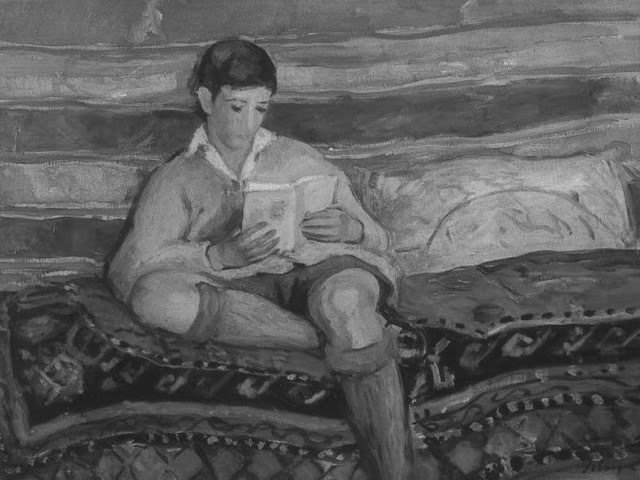 What do we mean by "read something good?" I guess that depends on which one of us you ask. We each have our own ideas, our own favorite authors, and our own notions of which great books just aren't that great. But if you ask enough people that same question, you just might be able to arrive at some sort of tenuous consensus. In 1998 the editorial board of the Modern Library put out a list of what they saw as the 100 finest English-language novels published in the twentieth century. The aim was to start a turn-of-the-century conversation about which are the best books and to raise the profile of the Modern Library’s stable of classics among potential readers. Among other criticisms were the fact that only 8 women made the list, and that eminent writers from a slew of English-speaking countries seem to have been overlooked. It is, nevertheless, a decent list to start with if you want to get your feet wet with some good literary fiction. The Radcliffe Publishing Course also put out their own list, kinder to Mmes Rand and Mitchell, not to mention A.A. Milne, but with 47 of the same novels as the Modern Library’s list. The French newspaper Le Monde came up with a survey to determine the Top 100 Books (not novels) of the century, which was understandably dominated by French titles. The BBC got in on the action in 2003 with their Big Read survey, which put the Lord of the Rings and Pride and Prejudice in the top two spots. Time Magazine followed with an alphabetical Top 100 published since 1923 (when the magazine started operations), and Newsweek is among those who have tried to create a master list out of all the disagreement on the lists already mentioned. And the debate rages on. Just a month or so ago, To Kill a Mockingbird was voted the U.K.’s best-loved book, unseating Mr. Tolkien and Ms. Austen, and providing vindication for the Harper Lee masterpiece which is nowhere to be found the Modern Library's original Top 100. So, what of that original list? Come back tomorrow and we'll crunch some of the numbers. In the meantime, what would your own Top 5 look like? If nothing else, I appreciate the aggregation of lists in this post. Unfortunately, my "to read" list only grows. Alan, I hear you. Sometimes it feels like it would be easier to empty the ocean with a turkey baster than to make any real headway on all of the great literature out there. Tucker, nice list. I tried highlighting a few things in Angle of Repose last night, but it quickly got out of hand- I ended up throwing a sticky note in there to mark ALL of chapter 3 as freaking phenomenal. I'll have to check out Doig. Don't know the first thing about him other than that he's a Westerner. This is a surprisingly difficult question that Google should be able to answer and yet, fails spectacularly. Any list (like the reader's list) that includes books by three books by L Ron Hubbard is worth forgetting. Same goes for a list that includes the Twilight Saga (yes, I'm looking at you: http://www.thebest100lists.com/best100novels/). Sure there's a lot of personal preference involved, but the board list is a bit highfalutin. Conrad is a good writer, but 4 books? And Joyce with 3? No way. I like the Radcliffe list better, but let's just say that no list is perfect. So I'm coming up with my own. Look for it soon at www.readthe100.com. I'd be curious to see it, Anon. Repost the link when it goes live and we'll check it out.